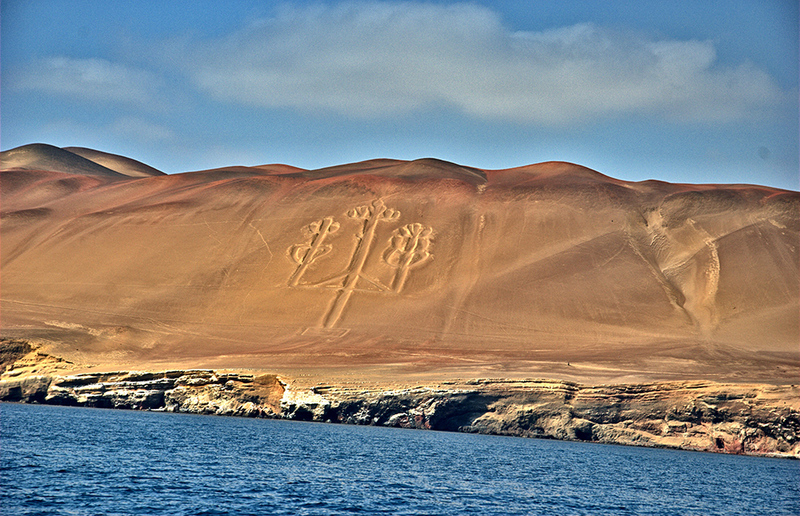 Save up to 3 hours of travel time and flight over the Nazca Lines from Ica Airport. This tour offers the chance to see 12 of the world-famous Nazca Lines from onboard a Cessna Grand Caravan aircraft. This type of airplane has an excellent reputation internationally, and for safety reasons there is a pilot and a co-pilot onboard all of our flights. Pick up from your hotel in Ica and transfer in private to the airport for your short flight over the Nazca Lines; at the airport you will have an introduction about your tour and safety instruction. This flight will cover the expanse of the stony Nazca desert, the surface of which is scarred by gigantic drawings and geometrical shapes. The flight lasts exactly 75 minutes and is the best way to see these fascinating lines and drawings that have intrigued people for years. Once on air you will see the Huacachina Oasis, Palpa Lines and Nazca Lines where you will see 14 most representative figures drawn on the stony surface of the Nazca desert, representing animals and stylized plants, distributed in a huge labyrinth of lines, trapezes, triangles and hairsprings which have been preserved for almost 2000 years. They are the most incredible remains that an ancient culture has left behind. These designs, some of them as long as 500 meters, can be truly appreciated only from the sky at an altitude of 1,500 feet. After your flight you will return to the airport and be transfer back to your hotel in Ica. End of the service. Flights from Aerodrome Las Dunas Ica Airport from 6:00 am to 16:30 pm (subject to weather and times established by the DGAC conditions depending month of the year).